Hypertension, or high blood pressure, is often referred to as the silent killer. It is the second most common cause of kidney disease in this country, and a leading cause among African Americans. Hypertension affects many organs of the body, including the heart, brain, blood vessels, and kidneys. Blood pressure measurements that are obtained in the doctor's office are used as an initial guide to determine how severe your blood pressure is. As you may be aware, the top number on the blood pressure is referred to as the systolic (siss-tollik) blood pressure. The bottom number is called the diastolic (dye-a-stollic) blood pressure. While doctors do pay attention to the lower number, it is the top number - the systolic blood pressure - that really increases the risk of heart disease, stroke, and kidney disease, especially as we get older. Your doctor will ask you to take your blood pressure at home and record it, as well, because for many patients, being in the doctor's office can cause a rapid elevation in the blood pressure numbers, termed "white-coat syndrome." The kidneys and other body organs are designed to handle blood pressures within a normal range. If the pressure delivered to them stays high over a prolonged period of time, it can have harmful effects on the body's systems. For example, heart disease and congestive heart failure are long-term consequences of uncontrolled high blood pressure. In the brain, hypertension is an important risk factor for stroke. The kidneys also do not tolerate the stress of high blood pressure. Uncontrolled high blood pressure causes inflammatory changes in the blood vessels. Over time, the arteries begin to become sclerosed (skler-ost) or scarred, which is called atherosclerosis. Left unchecked and untreated, hypertension can cause fibrosis - irreversible scarring - to the kidneys. As you may know from visits to the doctor's office or from surfing the Internet, there are different stages of hypertension, depending on blood pressure level. In 2003, a group of expert panelists and physicians basically redefined hypertension and emphasized a focus on early treatment and management even before high blood pressure is diagnosed. The Seventh Report of the Joint National Committee on Prevention, Detection, Evaluation, and Treatment of High Blood Pressure (commonly referred to as JNC 7) were, in my opinion, ingenious in defining the new classes of high blood pressure. A normal blood pressure is now defined as a systolic blood pressure (the top number) of 120 or less, and/or a diastolic blood pressure (the lower number) of 70 or less. The next stage, which is called prehypertension, is defined by a systolic blood pressure of 120 to 139 and/or a diastolic blood pressure of 80 to 89. This stage is very important, because it is an excellent time to not only adopt lifestyle changes that reduce the risk of developing hypertension, but also to focus on other risk factors that may be present, including diabetes or prediabetes, obesity, high cholesterol levels, a smoking habit, a sedentary lifestyle, and poor dietary habits. It is no surprise that all of those factors are risk factors for worsening kidney disease, as well; nor is it a surprise that many of the conditions occur together. In this new classification scheme, there are two stages of hypertension, stage 1 and stage 2. Stage 1 defines a systolic blood pressure as 140 to 159 and/or a diastolic blood pressure of 90 to 99. In stage 2, the systolic blood pressure is 160 or higher and/or the diastolic 100 or higher. 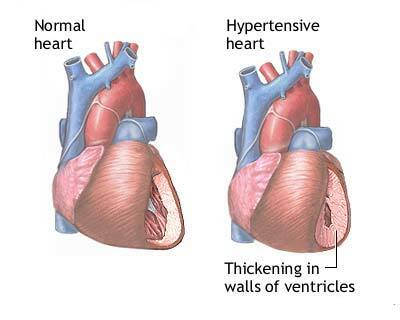 Antihypertensive medication is usually prescribed at this stage. If you have stage 2 hypertension, two or more medications may be needed. Lifestyle changes are the most important changes you can make for your kidney - and your own - health. By exercising, stopping smoking, lowering the amount of sodium in your diet, and losing weight (if needed), you can lower your systolic and diastolic blood pressures, perhaps without even needing to take any medication in the first place. These are very real things that you can do that can help maintain and improve your kidney health. There are also many classes of medication that your doctor may choose from in treating hypertension. The following information includes key points regarding a few classes of blood pressure medication. Talk with your doctors regarding your treatment options. To find out more, you can check out Hypertension And Kidney Disease.